CINCINNATI, OH (FOX19) - Northern Kentucky’s Drew McDonald is one of 20 players selected to compete in the NABC Reese’s College All-Star Game. The game will be held as part of the NCAA Men’s Final Four in Minneapolis. The game is Friday at 3:30 p.m. on the Final Four court inside US Bank Stadium. 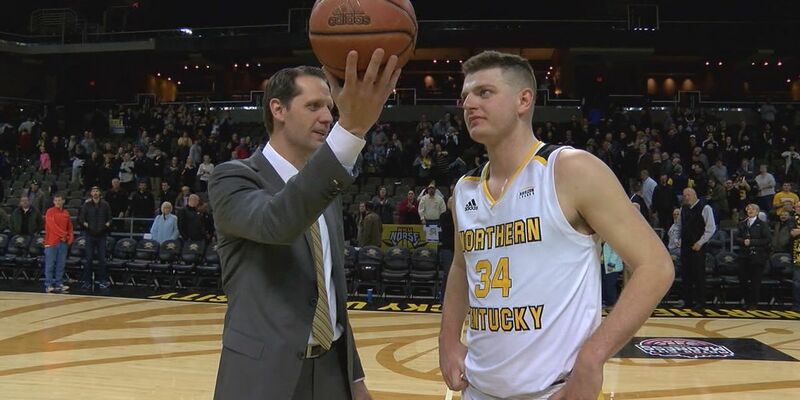 NKU's Drew McDonald is one of 20 players selected to play in the college All-Star Game at the Final Four this weekend. McDonald is NKU’s all-time leader in scoring, rebounds and games played. He is one of five active players in D-I basketball with at least 2,000 points and 1,000 rebounds in their career. He helped lead NKU to the NCAA Tournament two of his final three seasons with the Norse.